S.V. Techsol designs and manufactures custom, equipment enclosures, environmental chambers, and mini environments for semiconductor and pharmaceutical applications. Our unique custom designs allow you to create the unit for your exact requirements without having to fit a preassembled chamber or enclosure into your existing environment. S.V. Techsol designs and manufactures custom equipment enclosures for semiconductor and pharmaceutical applications. Equipment enclosures are stand alone units that enclose a tool inside a cleanroom offering a cleaner manufacturing area therefore producing higher product yields. S.V. 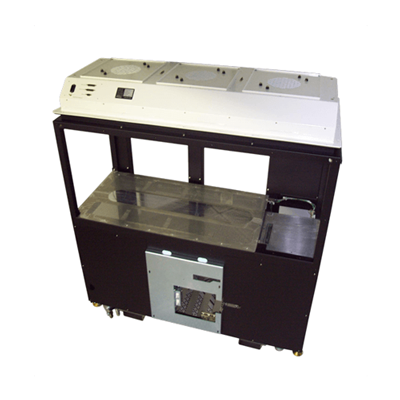 Techsol can design various types and sizes of equipment enclosures. S.V. Techsol designs and manufactures custom environmental chambers for semiconductor and pharmaceutical applications. Our environmental chambers ensure that your temperature and humidity requirements stay within specification for production, testing or storage. S.V. Techsol can design various types and sizes of environmental chambers. Our unique custom designs allow you to create the unit for your exact requirements without having to fit a preassembled environment chamber into your existing environment. The following list is a few examples of specifications that can be designed into an environmental chamber. Unless otherwise authorized to do so, visitors may not enter areas that are restricted to the authorized users of S.V. Techsol. All information contained in the S.V. Techsol website, including all website design, images, text, graphics, the selection and arrangement thereof, and software, are owned or controlled by S.V. Techsol and protected by worldwide copyright laws. All trademarks, service marks, trade names, trade dress and product names whether or not appearing on this website are protected in the United States and internationally. The following trademarks S.V. Techsol and the S.V. Techsol logo are trademarks of S.V. Techsol, Inc. THE INFORMATION ON THIS WEBSITE IS PROVIDED "AS IS" WITHOUT ANY WARRANTIES, EXPRESS OR IMPLIED, INCLUDING WITHOUT LIMITATION THE IMPLIED WARRANTIES OF MERCHANTABILITY, FITNESS FOR A PARTICULAR PURPOSE OR NON-INFRINGEMENT. ALTHOUGH SV TECHSOL WILL USE REASONABLE EFFORTS TO INCLUDE UP-TO-DATE AND ACCURATE INFORMATION ON THIS WEBSITE, SV TECHSOL MAKES NO REPRESENTATIONS, WARRANTIES OR ASSURANCES THAT THE INFORMATION ON THIS WEBSITE IS OR WILL BE TIMELY, ERROR-FREE OR COMPLETE. NEITHER S.V. TECHSOL OR ANY OTHER PARTY INVOLVED IN CREATING THIS WEBSITE IS LIABLE FOR ANY DIRECT, INDIRECT, INCIDENTAL, CONSEQUENTIAL, SPECIAL OR EXEMPLARY DAMAGES (INCLUDING DAMAGES FOR LOSS OF BUSINESS, LOSS OF USE, LOSS OF PROFITS, LITIGATION OR THE LIKE) ARISING OUT OF YOUR ACCESS TO, INABILITY TO ACCESS OR USE OF THIS WEBSITE, OR FROM YOUR RELIANCE ON ANY INFORMATION PROVIDED ON THIS WEBSITE, INCLUDING BUT NOT LIMITED TO AS A RESULT OF ANY BUGS OR VIRUSES THAT MAY INFECT YOUR COMPUTER PROGRAMS OR EQUIPMENT. THE FOREGOING EXCLUSION OF LOSSES AND DAMAGES SHALL APPLY WHETHER A CLAIM IS BASED ON BREACH OF CONTRACT, BREACH OF WARRANTY, TORT (INCLUDING NEGLIGENCE), PRODUCT LIABILITY OR OTHERWISE, AND EVEN IF S.V. TECHSOL HAS BEEN ADVISED OF THE POSSIBILITY OF SUCH DAMAGES. S.V. Techsol may make available to the visitor links to third party websites over which S.V. Techsol has no control. S.V. Techsol has not reviewed the sites that may be linked to this website, and does not endorse and is not responsible for the content of any other sites. Other sites may be inaccurate or contain discussions regarding unapproved uses of medical devices or other products. Your linking to such sites is at your own risk, and S.V. Techsol shall not be liable for any damage or injury arising from their content or your use thereof.